Thanks to all those clubs who attended our regatta last weekend. The weather didn’t do us any favours but, despite that, we valiantly went ahead and some great sprint racing was had by all, along the stretch of water between Flushing Sailing Club and Kiln Quay. Thank you so much to everyone involved in making yesterday such a successful day for the club. The weather was horrible but it certainly didn’t dampen spirits. 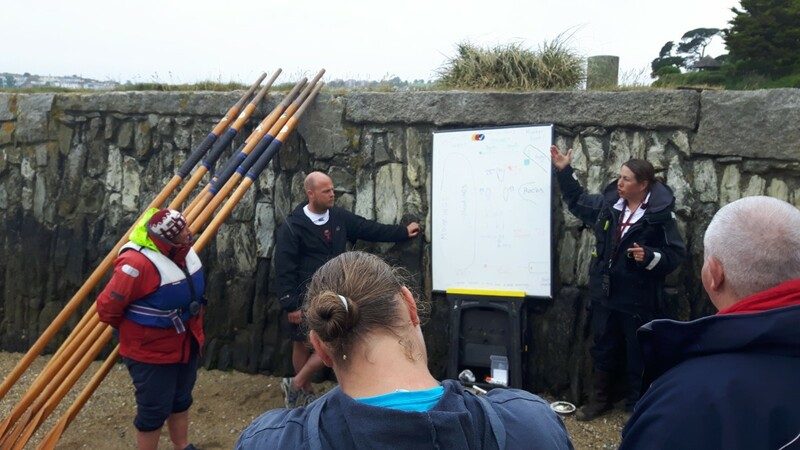 We had cooks, bakers, rowers, coxes, tent-putter-uppers, boat lifters, the best beach marshals ever, a brilliant race team of starters, finishers, umpires and safety boats, and everyone who gave up their Sunday to spend the best part of 8 hours in the rain to make the event happen. It’s a testament to a great club spirit and a wonderful community. Special thanks to Frances and Rodney for doing all the hard work in making it happen, Frances’ army of cooks and helpers, Jules for coordinating all the chopping and changing of race entries, Tim Coventry for sitting on the edge of the quay in the teeth of a gale for most of the day and Penny for her brilliant umpiring. It’s the first time we’ve run an event in that format and we definitely learnt a lot of lessons so next year we can do something even better.